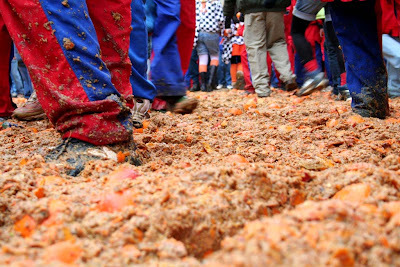 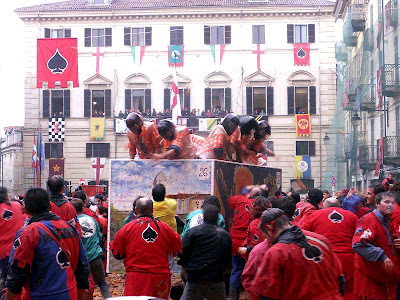 ITALY Ivrea Carnival, Piedmont – another colourful carnival, but with a different ending as the whole town partakes in a monstrous orange fight. 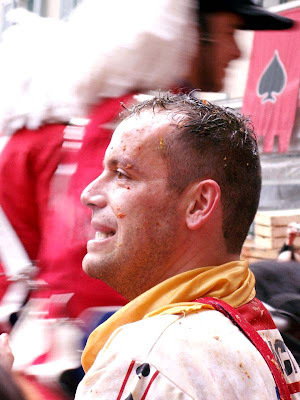 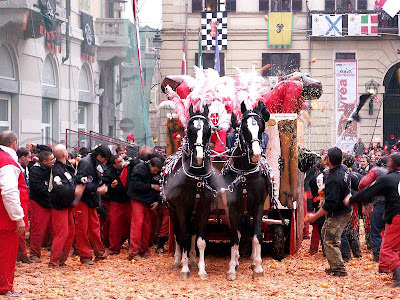 The most ancient Carnival in the world is a unique event that takes place in the Medieval town of Ivrea, near Turin in Piedmont. 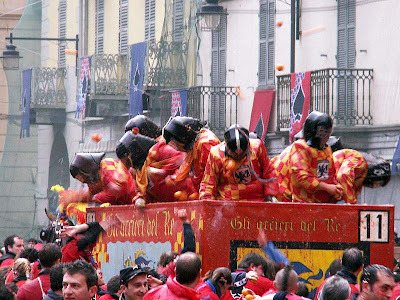 During Carnival, Ivrea is illuminated with lights and colours and the air is saturated with intense penetrating perfumes of oranges. 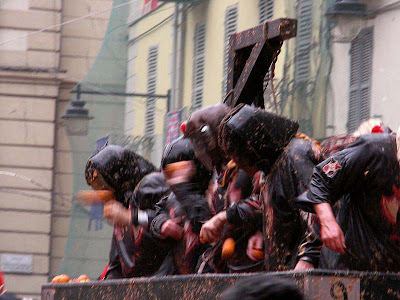 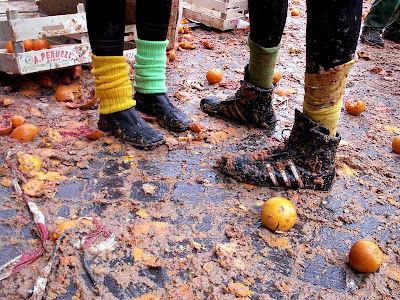 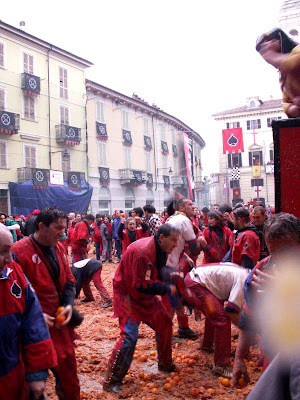 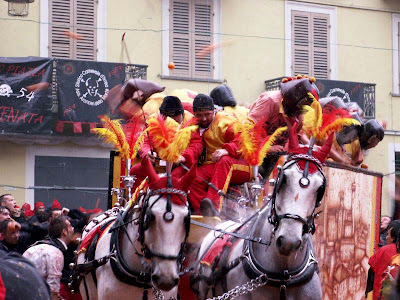 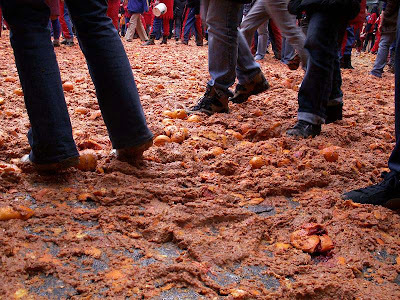 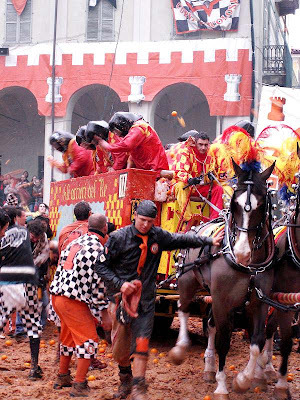 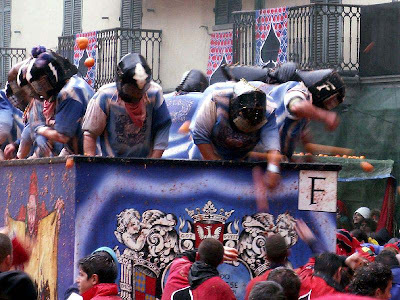 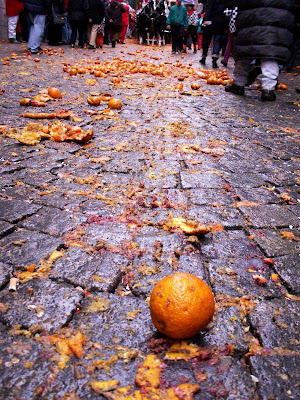 It is a festivity of ancient origins (end of 12th century) which recalls, among other things, the rebellion of Ivrea against the Ranieri tyranny, symbolized by the famous Battle of the Oranges. 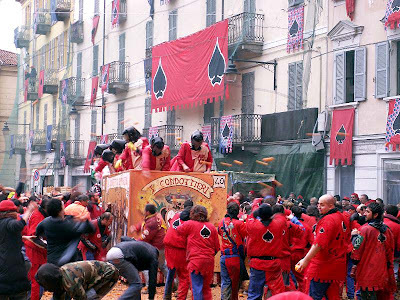 The Carnival of Ivrea is the only Carnival in the world which has a real plot and tells a story in which the protagonists are not carnival characters, but ideal figures, the symbols of anarchic values and actors of ancient events. 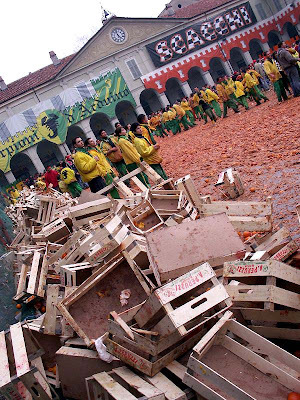 ents of the various periods, there remain two main trends of events which make up the plot. 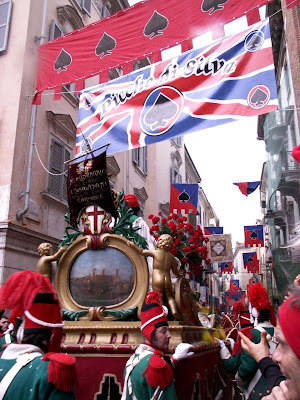 The first goes back to the Middle Ages, when Federico Barbarossa installed the tyrant Raineri di Biandrate as lord of the town. 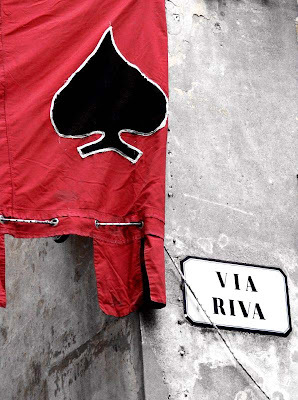 For a long time the violence and abuse of power exasperated the people, who in 1194 rose up and destroyed the tyrant’s castle, the symbol of oppression. 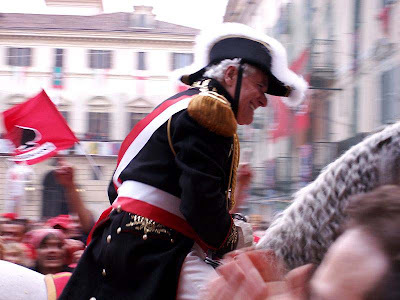 The same fate was reserved to another despot in 1266, the Marquis Gugliemo of Monferrato. 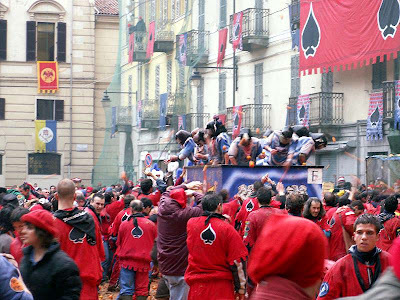 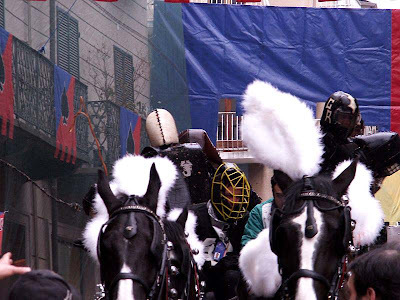 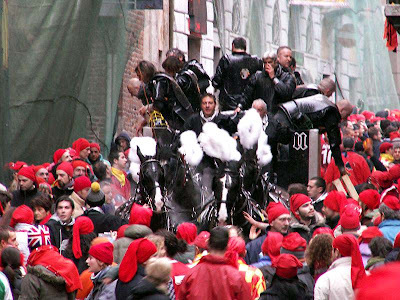 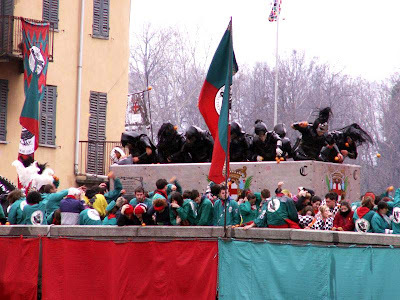 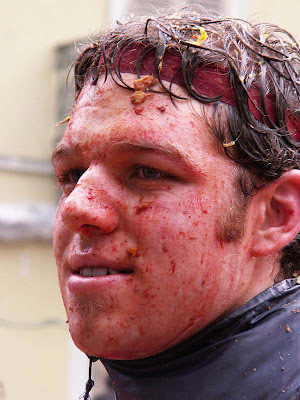 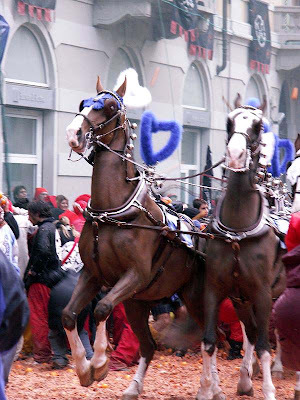 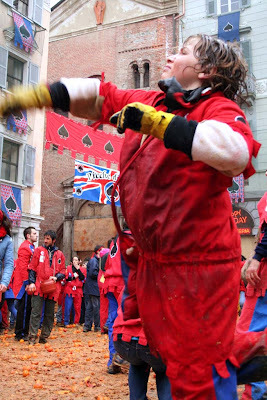 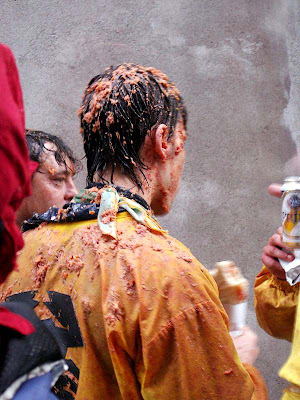 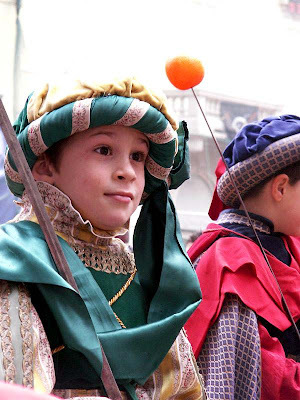 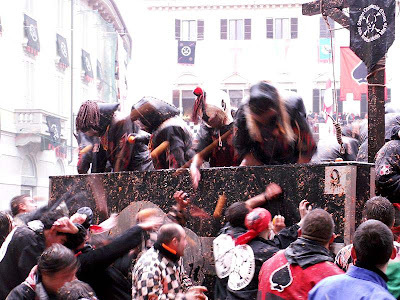 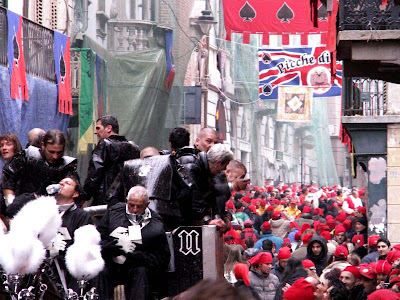 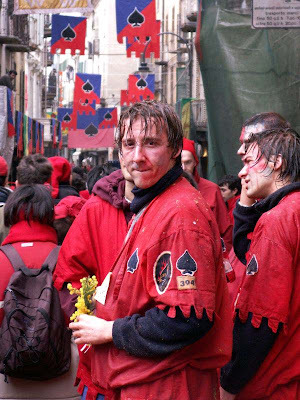 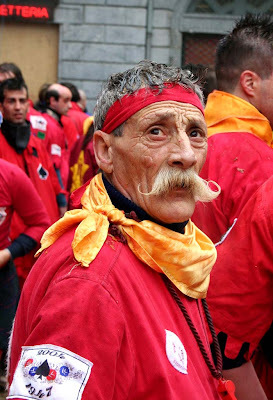 I was born in Biella and know Ivrea but I didn’ know its Carnival was the oldest one… very good pics!